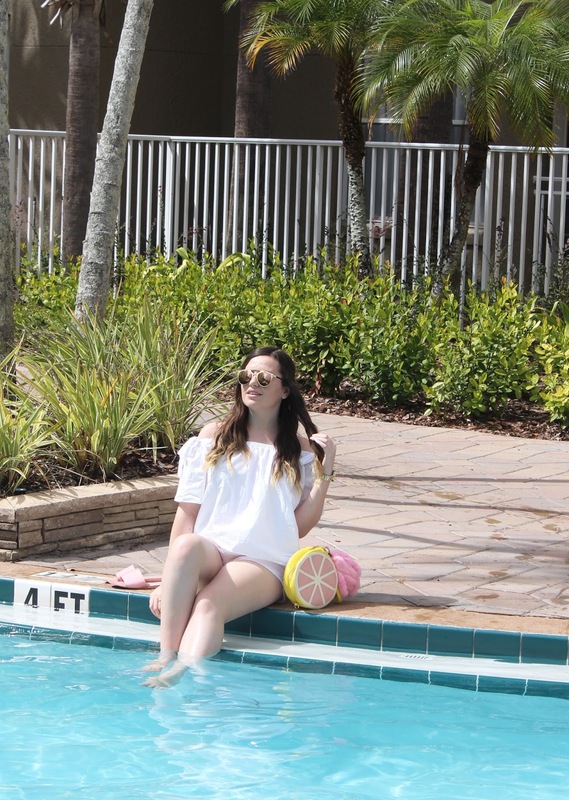 In today's post, I am sharing everything I enjoyed on my vacation in Florida! I went away for the last week in March to celebrate finishing my fashion marketing program, and also to visit my Grandma. It was a busy week, but we had so much fun! 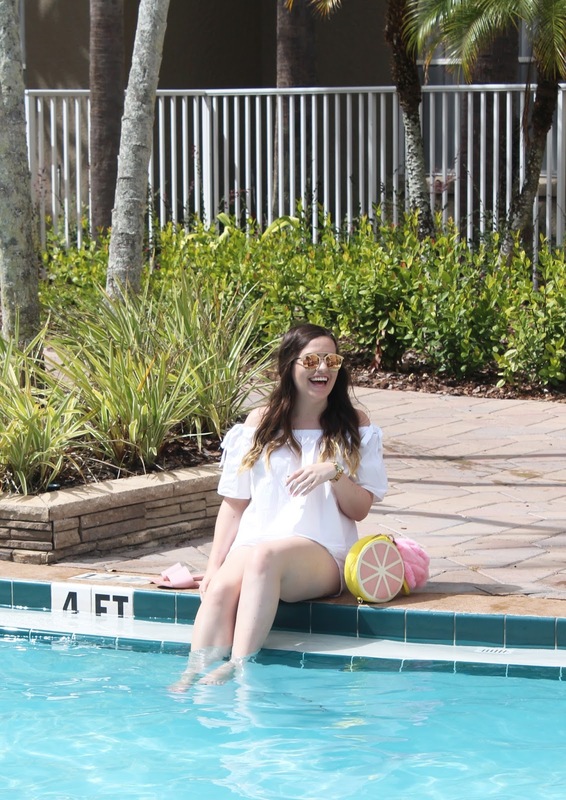 I also went to Florida last year, so if you want to see that post from my last time in the sunny south, check it out here! In this post the things we did are in no particular order, but if you would like to watch my entire week of vacationing, check out my Florida Vlog 1 and Vlog 2 on YouTube for the full trip! This beach is amazing and I would highly recommend that you visit if you are in Florida at some point! We arrived just before sunset (perfect timing) and got to experience a gorgeous view. Who doesn't love pool hangouts or late night hot tubbing? I love this part of staying at a resort! Of course I had to paint another design for my trip, so I came up with this one that includes a little flamingo. I loved how pink the look is! The other nail art for Florida can be found here. Taking photos is a favourite hobby of mine, so of course I was going to carry that through all of my travels in Florida! 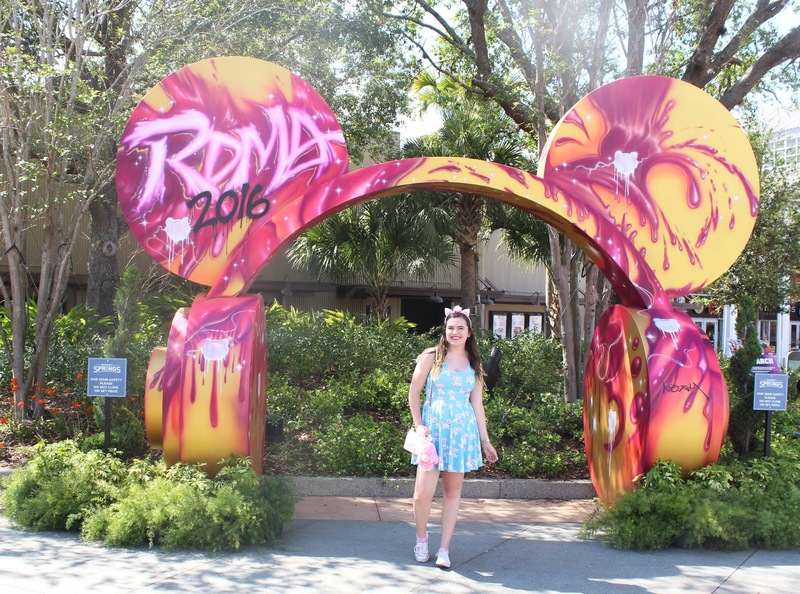 For dinner one night, we hit up the Rainforest Cafe in Disney Springs and I really enjoyed it! The food was amazing and it was a cool experience because I had never been to one before. Of course, I will never forget all of the laughs and memories I made with Grandma again this year! Grandma had never heard of Dippin' Dots before I introduced it to her, so now we make a it a tradition to go every year. Here, I have flavours Birthday Cake, Raspberry Sour Patch Kids, and Cookie Dough. This place was so cute and I''m so happy we stopped by! I got to sip on a yummy smoothie and play with kittens in the cat room - what a perfect combination! I am obsessed with all things Disney, so of course we had to make a stop by Disney Springs. It's all free admission and they have so many cool shops and things to see around here! Of course I can't go to the states and not hit up the malls, discount stores, and more! Shopping is one of my favourite hobbies and I share this with my Grandma, so we usually do a lot of shopping while I'm visiting. To see a haul of what I got from my trip, you can find that at 11:54 in my Florida Part 2 Vlog. I have been back in Toronto now for a couple of weeks and I totally miss the sunshine and warm weather! I hope to go back again next year to visit my Grandma as well. Have you ever been to any of these places before? Which one would you want to do? Oh my gosh, I love those disney cat pins you got! Thanks for sharing! I miss Disney so much.